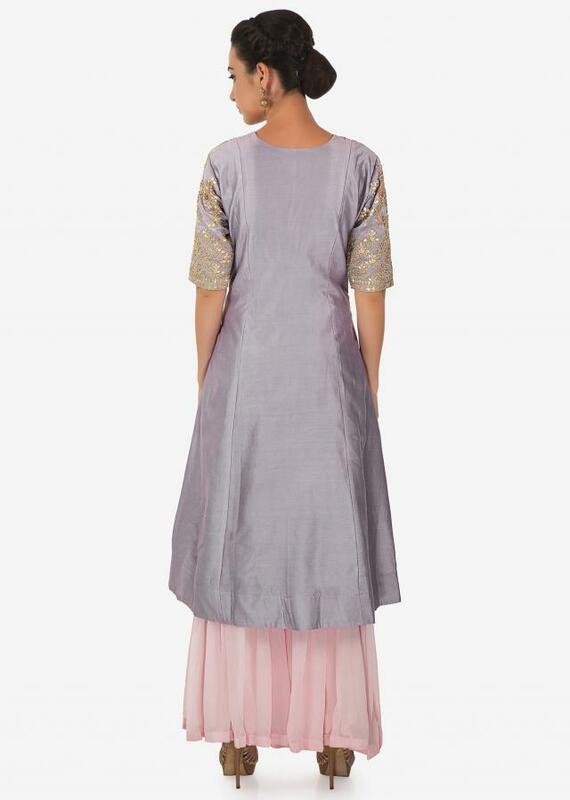 Coin grey A line suit featuring in silk. 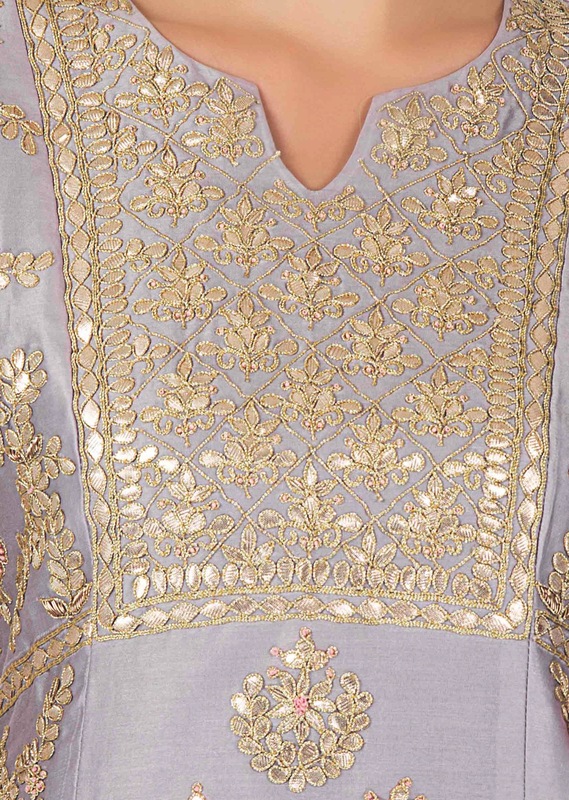 Its embellished in gotta patch and zari embroidered placket and butti all over. Matched with sharara pants in pink georgette. Dupatta is in pink net with silk border.